This jersey comes personally signed by the Penguins All-Star, Kris Letang. Letang was voted into the 2019 All-Star game as a “Last Man In” fan vote. The 2019 All-Star Game will be the fifth appearance in the All-Star game for Letang. Letang had a great start to the 2019 season, scoring 11 goals and putting up 40 points through 46 games. After a herniated disk prior to the 2017 Playoffs, Letang has not slowed down at all, making the All-Star game the next two seasons. This NHL & NHLPA licensed product comes with a Frameworth hologram and COA to ensure the authenticity of the autograph. 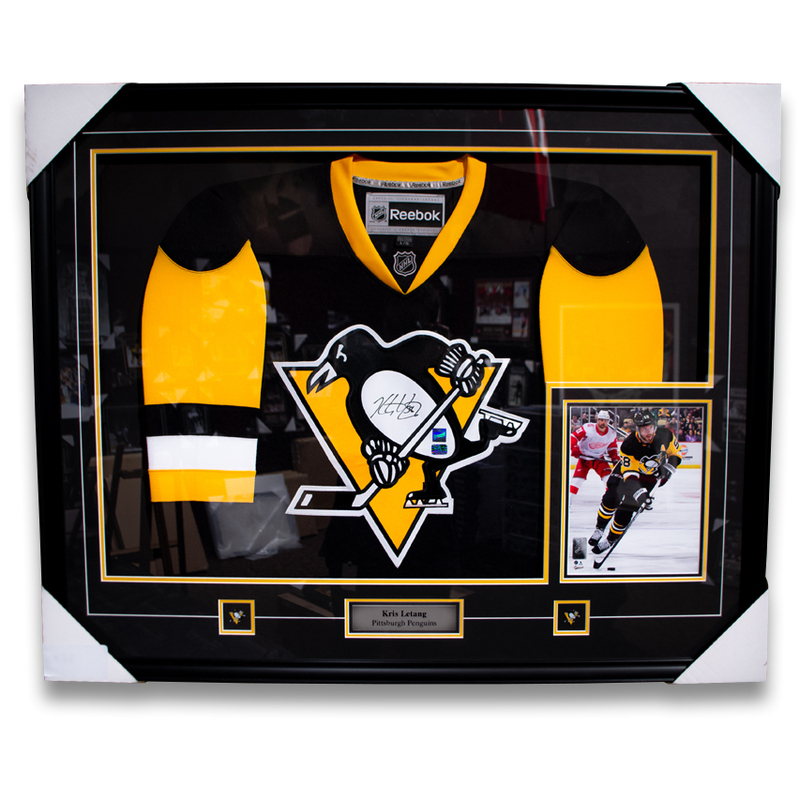 The jersey comes framed in a black frame with an 8x10” photo. The jersey is signed on the crest on the front of the jersey. Finished size 34x42”.